Members of a brazen traveller gang which carried out a £2million crime spree targeting people’s homes and businesses have been jailed for a total of 71 years. The gang committed more than 200 burglaries between February and December last year across Suffolk, Essex and Bedfordshire. They would don forensic suits in a bid to outwit police and were so prolific that in one day in July last year they committed seven burglaries, eight the next, and a total of 50 for the whole month. 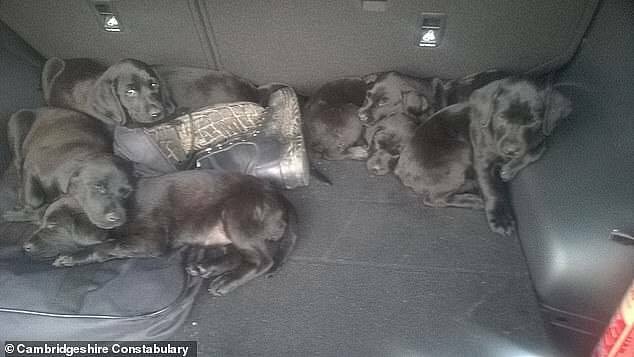 After one spree, police found seven stolen Labrador puppies and an arsenal of deadly weapons on their traveller site. The criminals, all from the traveller community, would smash or force open doors and windows of businesses and homes in broad daylight to commit their robberies. 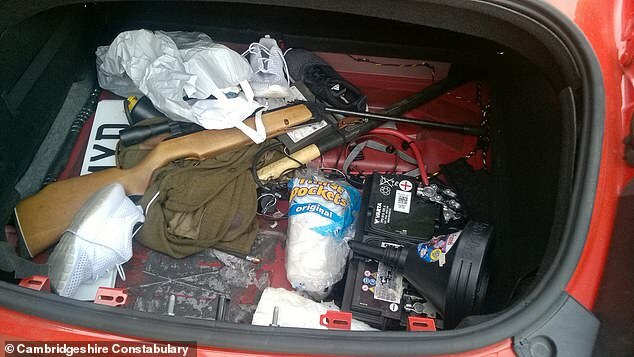 They would steal high-powered BMWs and Audis, firearms, cash and jewellery, all of which they could dispose of through contacts. I hope the Labrador puppies were reunited. More crime less police comes to mind. Please give us back our wonderful police force. Stop cutting back on the most important things in life.